With Visiting Teacher Jain Hein. FREE! There’s more to meditation than just sitting on a cushion. We will learn how to meditate using mindfulness in a variety of ways that can be used easily during life’s daily activities, through sitting, moving, conscious breathing, listening, eating and more! Bring a blanket and pillow for lying down meditation. Please come prepared to stay from 1:30 to 4:30 to experience the full impact of the teaching. Optional sitting and walking meditation from 4:30 to 5:30, for those who want a little more time to practice together in relative silence. This event is free of charge, and no registration is necessary. Donations gratefully accepted. To RSVP or if you have questions, please contact zoemosko@comcast.net. About Jain: Jain Hein (Jain), a practicing Jew, has studied all kinds of meditation and healing systems since the ’70s, including Transcendental Meditation, Jainism, and Buddhist meditation. For 27 years, she trained under Ruth Denison, one of the first female dharma teachers in the West, who was renowned for pioneering an unconventional, body-centered approach to Buddhist practice. 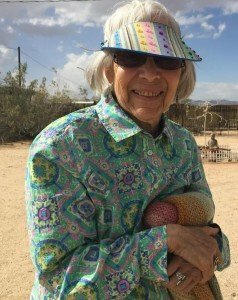 For the last several years, Jain has co-taught retreats at Dhamma Dena, the retreat center founded by Ruth Denison, in Joshua Tree California. Jain also teaches privately and in a New Age store in Scarsdale, New York, where she has lived for many years.